Catch yourself locking others up in your expectations, your dogma. And stop it. 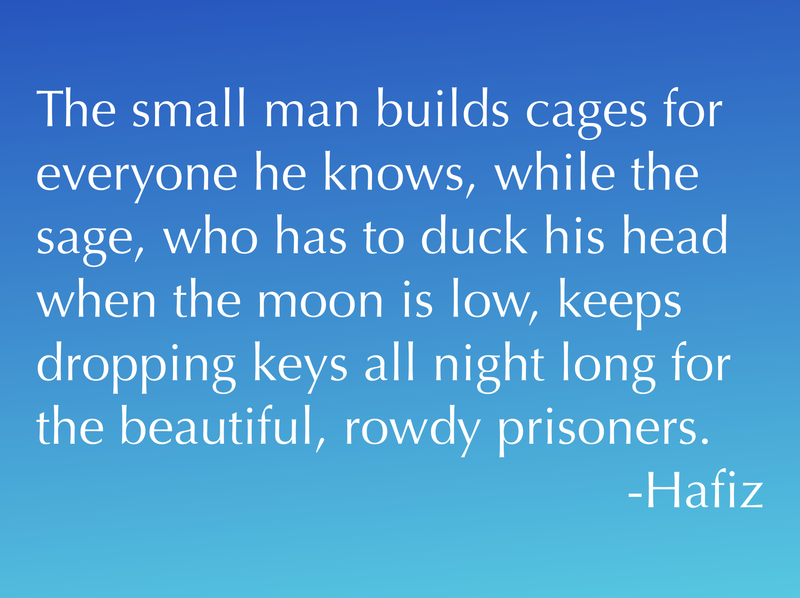 Break out of the constraints others place on you. Be authentic. Be real. Be your rowdy, unfiltered self, regardless of what others want you to be and regardless of how imperfect you will be exposed to be. Your freedom just might liberate someone else. Your vulnerability just might embolden those around you who are only going through the motions, who feel trapped in cages built by someone else. The wise man accepts the beautiful messiness of life and does not try to fix others. He just wants them to be free. Stop building cages. Start a jail break.